Movin' Melvin Brown - A Man, A Magic, A Music! A real American music story. A living legend! 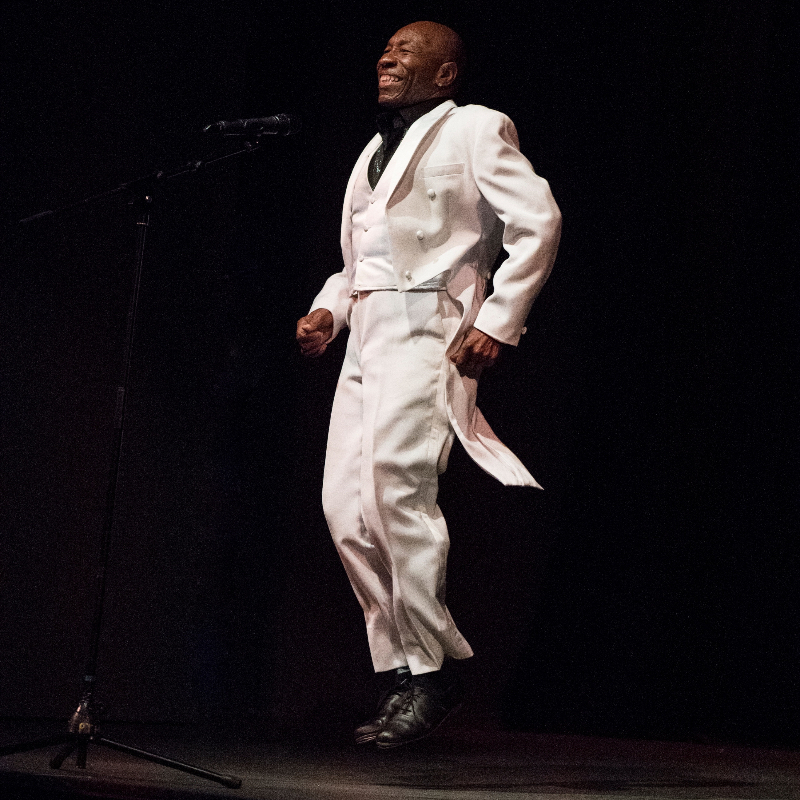 Let Movin' Melvin Brown take you on a Black Music journey (50s-90s) through his incredible and fascinating life in song, tap dance, story & comedy. Best described as 'The last of the great Song & Dance Men', his award-winning entertainment career spans 5 decades of singing, tap-dancing, storytelling & laughing with the best. Featuring songs of Ray Charles, James Brown, Sam Cooke, Otis Redding... Tap-dancing to Michael Jackson music, and much more! Sold out from Edinburgh to Edmonton, Avignon to Toronto & Hong Kong. Winner 'People's Choice Award' Vancouver & Toronto Festivals. Brown is a wizard of song and tap who has been seen widely on BBC TV, was the featured artist at Oprah Winfrey’s birthday party for Maya Angelou and has earned critical acclaim from reviewers (‘Exceptional, sheer brilliance’ The Scotsman ★★★★★) Previous shows have celebrated greats like Ray Charles and Sammy Davis Jr, as well as Otis Redding & James Brown. Brown first stole hearts with his dancing aged five. He had a doo-wop group as a teenager and has appeared with the likes of James Brown, BB King, The Isley Brothers and Little Stevie Wonder. Accolades include Best Blues Artist (LA American Radios Award), Best International Act and nominee Star of the Festival (Brighton Festival), People’s Choice Award Winner (Vancouver), Most Outstanding Performer (New York Festival, Orlando, Ottawa).